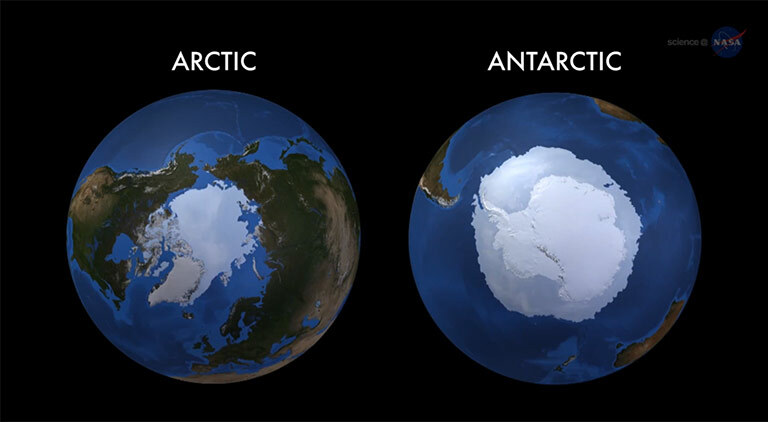 As it turns out the ice in Antarctica has been growing – not shrinking as the climate alarmists have been saying according to NASA. I have been saying all along that only about 1/3 of what the climate alarmists have been saying is true. We still have an overpopulation problem and a number of environmental problems to deal with. This planet is still our space ship and until we evolve into machines we still need to keep the planet habitable. However – since the ice cap has been growing for the last 25 years I think we can scratch the whole sea level rise threat off the table. The real damage has been to science itself. When people exaggerate threats it makes scientists into liars. It shows how money on both sides corrupts and that science is corruptible. But the thing about science is that you can only lie so long because Reality will come back to bite you. Do you listen to John Dvorak’s radio show ( co-host) No Agenda ? 2) Science or academia is simply quoting previous sources rather than original logic or investigation . Its advanced plagiarism to a high note with non-inclusion / punishment / non- admission of any dissenting voices to begin with On top of that one should always methodologically and logically backtrack original sources and methodology. I assumed that there was a high level of intelligence and discussion here /// Yes, but I’m posting less and less……. 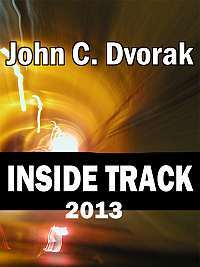 Do you listen to John Dvorak’s radio show ( co-host) No Agenda ?/// I gave it a few shots. I don’t like the personality driven chatter interspersed with the meat of the show. If there was a timeline to show the difference, I would attend as I do like the personalities…otherwise. One of the amazing parts noted is that when you actually go back to original sources and logic of Darwinism – in the end the beginning of life all hinges on “out of nowhere” somehow life emerged magically and we go on from there /// Thats not where Darwin started. A very basic LIE about Darwin you have swallowed……and why Stein is an idiot. Its on par with criticizing Darwin for saying we evolved from monkeys……..if you or Stein can figure out what that means. The origin of the species etc was a new paradigm concept etc yet it really was nothing original – its been there in folklore – inuit etc for eons Sort of like how the Europeans discovered America in 1492 when America as a continent and the people living there were there all along //// irrelevant. 2) Science or academia is simply quoting previous sources rather than original logic or investigation ./// Total BS revealing abysmal ignornace and drinking of Kool Aid. Science does not proceed AT ALL by quoting previous sources. Silly to say this. Its advanced plagiarism to a high note with non-inclusion / punishment / non- admission of any dissenting voices to begin with On top of that one should always methodologically and logically backtrack original sources and methodology. //// Ok…prove me wrong: copy and paste the plagiarism that Darwin used in his seminal work. 3) I listened one night to Coast to Coast ( of all sources) The writer wrote a book on how global warming / climate change is one big scam to set new standards to earn money Al Gore and his crew is out make billions not even millions I am sorry in that i don’t not recollect the exact title or author /// Doesn’t matter. I accept there has been/well be lots of fraud. That says nothing about the validity of the concept……just like the cancer example I tried to warn you with. 4) One question not been asked . Sure if America shuts down its coal mines and de-industrializes what of the carbon footprint of China ? /// The whole point is to continue “industrialization” by using Green Energy….although our de-industrialization is just about complete isn’t it? A few foreign manufacturers here…..ha, ha. Our new age is a consumer driven economy where we make nothing, consume everything, and wake up one day to declare we thought it was gonna last forever. China is the industrial workshop now . America to a great degree has worked to clean up its act. Yet China builds and runs tons and tons of older style high pollutant coal plants . Why should America be taxed to death when its all for naught //// Last year, China installed more Green Energy than had ever been installed by the rest of the world combined. I think it negated the building of 3 or 4 coal fired plants. Point being: its the only solution for continued growth/maintenace/ reduced damage to the future of the planet, so we have to start as best we can. Once America goes green ((even if actually we follow China’s lead on the issue) THEN we have the moral authority to “coax” the rest of the world to follow pace. As stated….right now….America is woefully behind most of the industrialized nations. One thing i can tell you – the bureaucrats in their air conditioned offices will still be living in air conditioned comfort and knowing better than you what is best for you when we are both sweltering with little incomes and high costs of goods (in the dark) /// You really should recognize you can only speak for yourself. It has not cleared yet //// Why would anyone read those links? The science is settled. The “anti-Hockey Stick” is a meme for how stupid Science Deniers are. Sea crest: you got some learning to do. Oh my, they cancelled 3 or 4 plants! and how many did they build last year? China alone is emitting twice as much as what is considered a ‘safe’ level for the whole planet. And this number is growing by 5-10% a year. China + India equal to the US, Europe, Russia, and Japan combined. Even staying level would be close to impossible, let alone a 90% cut. NFS–I agree. We need to do better. Its a fairly good example of: The Prisoners Dilema, or the failure of the Commons…etc. Most the the complaint re China’s pollution is misplaced. USA outsources its pollution creating industries to China, then complains china is polluting. Silly Hoomans. We all need to LEAVE THE CARBON IN THE GROUND, and go Green if we want to save our Grandkiddies…although the reality is their future is already pretty much gone…absent some miracle of science. but anyway: any possible start at the correction will be puny. China has over a billion people. The part about the US exporting industry is only relevant in that China has less efficient coal plants. Development for the billion people will matter more, and will overtake any industry that the US or other countries ship to China. India has not gotten so much industry, and they are still on track to surpass the US within a decade or so. You are taking positions based on religious feelings, not science. China has approved the construction of 155 coal plants in the first nine months of this year. NFS==ha, ha. You think you have said something by labeling my position as “religious.” Perhaps so…..if you call anything you can’t think of any substantive response to as religious thinking. Scientific estimate of global warming keeps dropping. So the link for me is “unauthorized” and shortening the link Yahoo says they are doing maintenance. I’ve gone to about 10 sites that say the estimate of warming is dropping…………..and they have ALL been objectively wrong. I need to make a little collection of BS like this. Roll them up into little balls……… and feed them to you. You need to figure out why you can’t see it. It is on Yahoo, and I am not logged in when I click on the link. Hmm, it looks like it is unavailable. I am only getting it because of browser cache. NFS–thanks for the extra work. Yes….that is the most common “error” of Science Denying headlines. The Headline to be accurate should say: The predicted RATE of global warming continually declines. Even if true, its an insignificant quibble. Instead of 99.9% of life on Earth dying off in 150 years, it dies off in 200 or 250. Yeah, I know—anything past your own kiddies lifetime is not worth reacting to. Just deny it and sleep smugly.